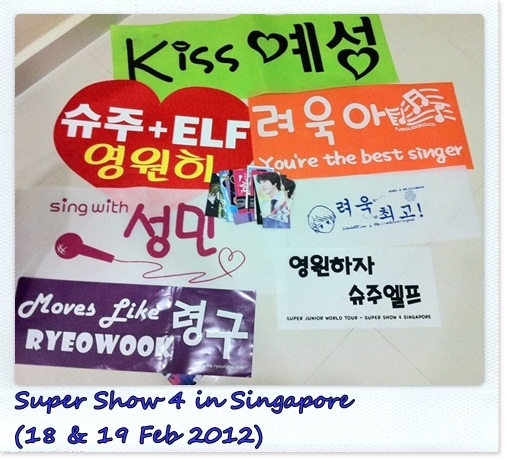 Super Show 4 World Tour had come to the end.. 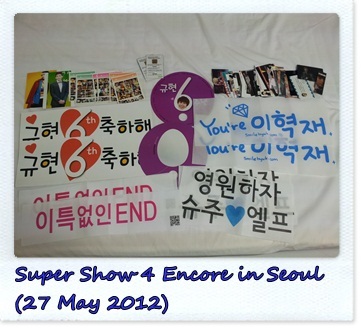 The last 2 shows were held in Seoul on 26 & 27 May 2012. Total 24 shows held in 10 Cities..
Out of 24 shows I’ve attended 5 shows and never enough for me..
I’m really fortunate that 2 of the shows my seating are freaking awesome! 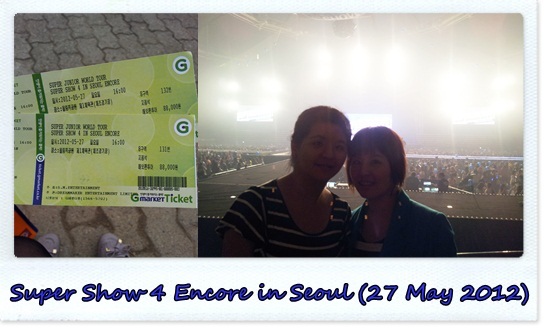 Both shows my seating was on the 1st row!! I can never forget about the moments! 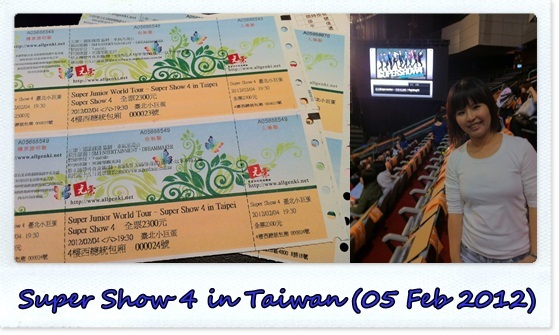 The 2 shows I attended in Taiwan were fabulous too! 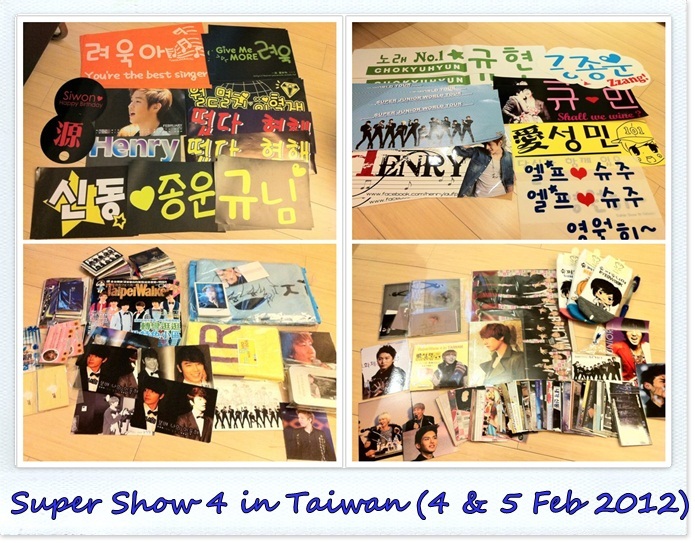 Super friendly and polite Taiwan ELF and tons of free photo cards given by Taiwan Fan Bases! Make my trip to Taiwan super worth it! I’m looking forward to my boys 6jib! And of course Super Show 5.. I hope to attend as many as I can!